The soft texture of the deep waffle waves is highly absorbent and dries quickly, keeping you cool and comfortable. 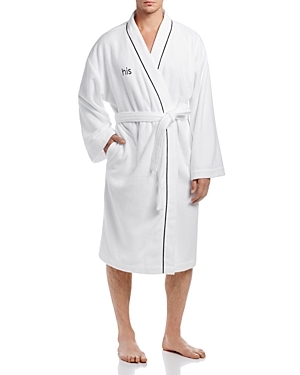 like all of our products, these robes are woven from thick, soft, 100% genuine Turkish cotton, they are exceptionally soft to the touch and become even softer after every wash This terry cloth bath robe, fitting for both men and women, is luxurious, soft, and absorbent -- helping you dry off with style, elegance, and comfort. Like all of our products, these robes are woven from thick, soft, 100% genuine Turkish cotton; they are exceptionally soft to the touch and become even softer after every wash. The herringbone collection is modern and stylish, manufactured with more cotton per square inch to maximize both softness and absorbency. these bathrobes are made on a jacquard machine and have a herringbone pattern woven throughout. Made with a revolutionary super-plush microfiber, this luxurious bathrobe is so soft, so indulgent - you have of feel it to believe it. the spa-style robe will wrap you in luxury while you are enjoying your daily bath ritual, treating yourself to a pampering spa treatment or just relaxing in cozy comfort. Made with a revolutionary super-plush microfiber, this luxurious bathrobe is so soft, so indulgent - you have of feel it to believe it. the spa-style robe will wrap you in luxury while you are enjoying your daily bath ritual, treating yourself to a pampering spa treatment or just relaxing in cozy comfort. 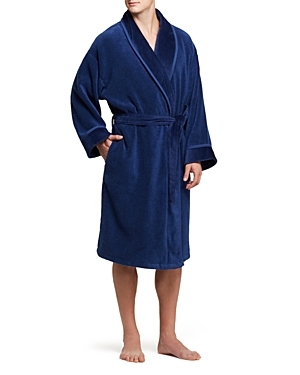 This terry cloth bath robe, fitting for both men and women, is luxurious, soft, and absorbent - helping you dry off with style, elegance, and comfort. like all of our products, these robes are woven from thick, soft, 100% genuine Turkish cotton, they are exceptionally soft to the touch and become even softer after every wash.
Cariloha's ultra-plush bamboo bathrobe wraps you up in luxury softness that feels as comfortable as it looks. This unisex robe is made from a unique double-knit fabrication where the interior is our signature Crazy-soft bamboo and the exterior is an ultra-plush micro-polyester blend. Crafted with soft cotton terry and a pique-knit design at the collar and belt, this bath robe from Lacoste Home provides superior comfort and style ideal for shower time and simply relaxing around your home. Pamper yourself with Linum Home's luxurious and fashionable Waffle Terry Bath Robe, woven from soft, 100% genuine Turkish cotton. The absorbent terry inside will keep you immensely dry and exceptionally comfortable. Garnished with delicate contrast color satin trimming on the collar, cuffs and pockets, the waffle woven exterior of these robes exude a sleek and sophisticated look. The herringbone collection is modern and stylish, manufactured with more cotton per square inch to maximize both softness and absorbency. these bathrobes are made on a jacquard machine and have a herringbone pattern woven throughout. The herringbone collection is modern and stylish, manufactured with more cotton per square inch to maximize both softness and absorbency. these bathrobes are made on a jacquard machine and have a herringbone pattern woven throughout. Embrace spa luxury with our Hotel Collection Waffle-Weave bath robe. An ultra-absorbent waffle-weave texture gives way to smooth cotton lining for dreamy, over-the-top comfort. Crafted in plush terry cloth, this bath robe by Hudson Park features contrasting piped trim at the collar, on-seam pockets and a self-tie belt. Wrap yourself in cozy comfort with this Hudson Park velour robe, complete with ultra-soft trim for high-shine luxury. Neiman Marcus brushed flannel robe. Shawl collar; wrap front. Long sleeves. Self-tie belt at waist. Three patch pockets. Cotton. Neiman Marcus woven tweed robe with contrast piping. Shawl collar; wrap front. Long sleeves. Self-tie belt at waist. Three patch pockets. Cotton. Neiman Marcus brushed flannel robe. Shawl collar; wrap front. Long sleeves. Self-tie belt at waist. Three patch pockets. Cotton. Founded in 1952 by Rene Ramillon, this French company designs fine outerwear and sportswear. The name Moncler originates from an abbreviation for for the town of Monestier-de-Clermont in the French Alps, where the firm's headquarters are located. Moncler Gamme Bleu "Camicia" sport shirt in check. Spread collar; button front. Short sleeves. Welt pocket at left chest. Classic fit. Shirttail hem. Cotton. Moncler T-shirt with block-letter logo graphic print. Crew neckline. Straight hem. Moncler jersey T-shirt. Logo patch at chest. Crew neckline. Short sleeves. Pullover style. Moncler "Rethel" coat with dyed coyote fur (Canada) trim. Hooded neckline; button-placket hidden zip front. Long sleeves; rib-knit trim. Side slip chest pockets. Flap pockets at hips. Classic fit. Straight hem. Moncler "Barral" jacket in quilted puffer fabric. Baseball collar; two-way zip/snap front. Side snap pockets. Long sleeves. Moncler Grenoble "Rossiniere" quilted vest. Drawstring, hooded neckline; zip front. Side zip pockets.